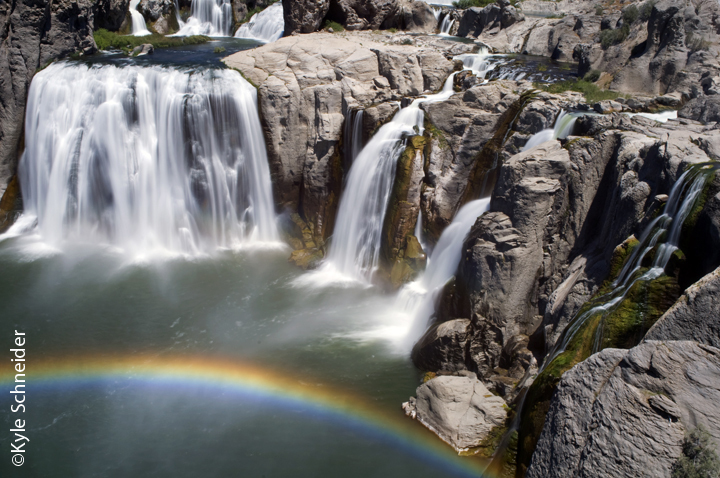 At 212 feet tall, Shoshone Falls are referred to as the “Niagra of the West” (mainly by the Idaho tourism people). It is 45 feet taller than Niagra Falls are though. The falls are located within a park operated by the city of Twin Falls, ID and a $3 entrance fee per private vehicle is required. Unfortunately, irrigation often drastically reduces the flow of water over the falls, so they are best viewed in the spring and early summer. Douglass Houghton Falls in Upper Michigan’s Keweenaw Peninsula features a drop of over 100 feet (not pictured here). There are two main falls, the one pictured here, and the 100 foot drop which occurs slightly to the right of the fall pictured here. In the winter, Douglass Houghton Falls freezes, but I was lucky enough to catch it before it had frozen completely. Unfortunately, due to erosion and safety issues, access to Douglass Houghton Falls has been closed off. Luckily, I know the owners of the property that abuts one side. Manabezho Falls, located between Manido Falls and Nawadaha Falls, are located on the final mile of the Presque Isle River before the river empties into Lake Superior. Canyon Falls, located near Alberta, MI is a popular spot for cliff diving in the gorge that which the next waterfall in this series empties into. 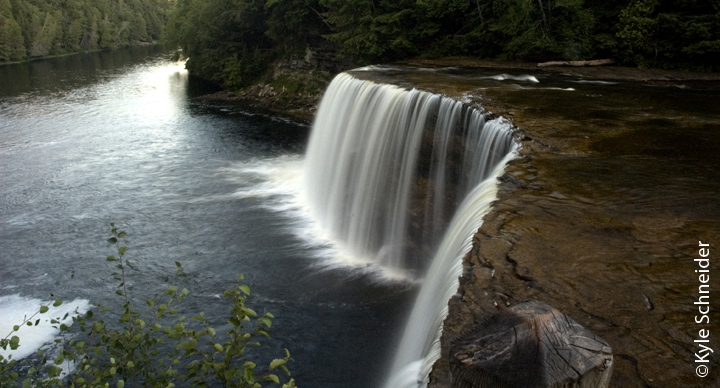 The Upper Tahquamenon Falls is the third largest waterfall East of the Mississippi. 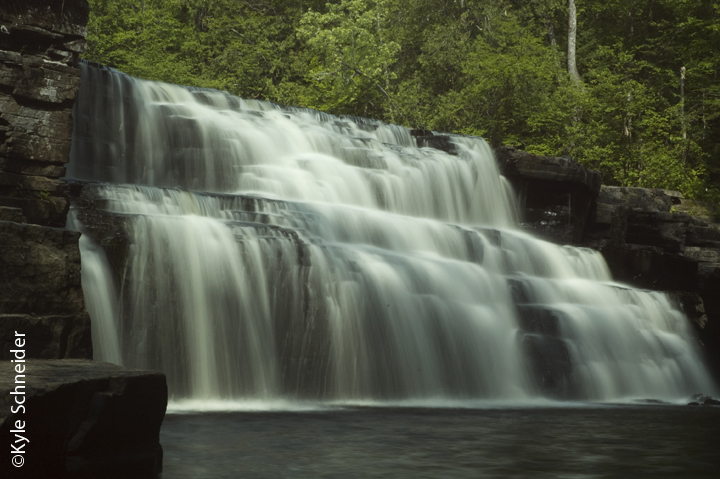 The Upper Falls is approximately 200 feet across and has a drop of over 50 feet. The falls are located in Tahquamenon Falls State Park between Newberry and Paradise in Michigan’s Upper Peninsula. 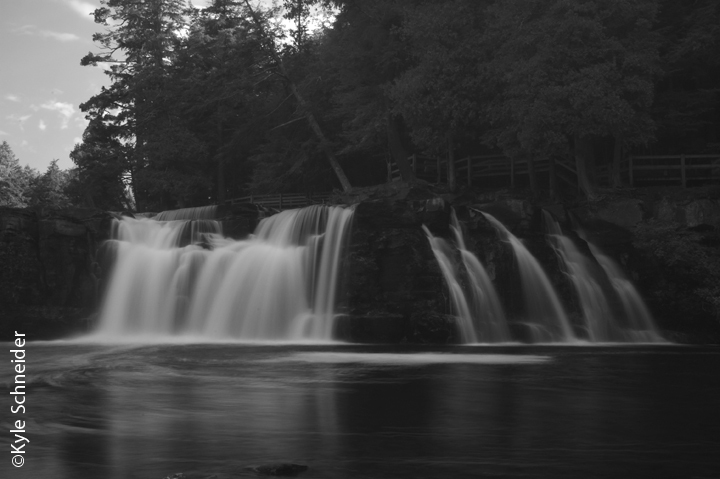 The falls were imortalized in Longfellow’s The Song of the Hiawatha. 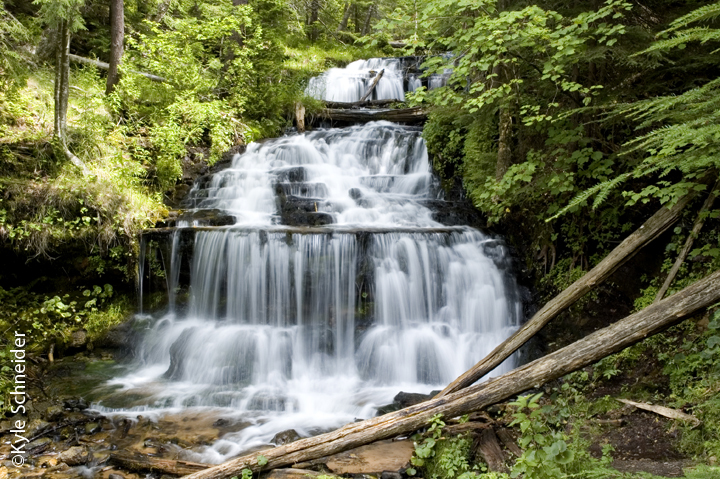 Wagner Falls is a gorgeous set of waterfalls located a short distance from the MI-28/MI-94 intersection south of Munising. Often overlooked by travelers it is a great spot to get out and stretch your legs at the 23-acre state park upon which it is located. 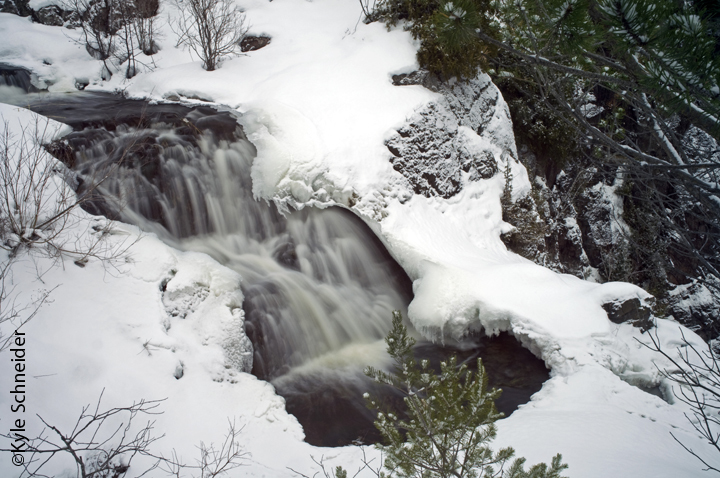 Wagner Falls flows over dolomite and empties into the Anna River, which in turn flows into Lake Superior.